I can say I have had Pontiac's consecutively for the past 22 years. 1 Sunbird, 2 Fieros, 1 Bonneville, 1 Firebird, 1 Grand Am, 10 Grand Prixs (2 TGP, 2 TSTE, 2 GTP, 1 LX, 1 SE, 1 SJ, 1 2+2). 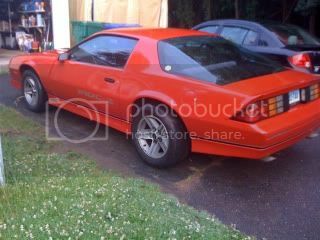 The only reason I have my TGP is because when it was announced last year that Pontiac was going away I decided to finally get the Pontiac I have always wanted to replace my IROC as my show car. A 2nd gen Turbo Trans Am. 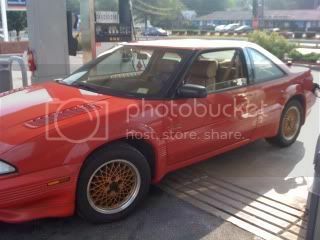 I stumbled across a TGP and decided it was rarer, better looking, and much more of a "show car". I have owned over 3 dozen different F bodies (yeah, that's right) so I also was happy to have something different. 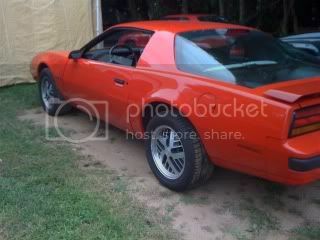 I currently have an 86 Firebird with 80,000 original miles as well. Long live Pontiac! Sweet, If the Pontiac Gods smile upon me I'll find my Black / Grey TGP and make it show worthy. Once I retire from my current occupation (in 2 years) I plan on making my one 1990 STE show worthy. Are you on Cardomain? Would love to see some pics. 1985 IROC / Driver and bracket racer. Yes. I like red cars!